There comes several points in life where one must decide which road he or she will take. The road less traveled or the one frequented by the masses. Life is a journey, not a destination and there are always two roads that can be taken at any given moment. In my perception of this poem, I look at the roads as if they were made of dirt in a massive green forest with tall trees and beautiful red, yellow and blue flowers. I picture myself driving down the roads in an old army jeep with a big white star on the hood and no doors or top. I am free to all of the elements from the sky and thick dirt from the ground. I can smell the dew in the air as it fills up my lungs and the smoke from a bonfire afar. Both roads have old wooden signs with rusty nails and holes in them. One sign reads “Addiction” and the other sign reads “Serenity”. In my bipolar and addicted mind, I can see the road of “Serenity” is less traveled. As I am a recovering alcoholic living with a Bipolar Disorder, the road Addiction would be much easier to travel down, because I wouldn’t have to think as much and face my emotions everyday. For me, Alcohol used to cloud my mind and prevent me from facing reality and it was much ‘easier’ (I say that lightly) to live day to day, but was it really… No it wasn’t. As I continued down that road, I was faced with tremendous obstacles and it resulted in a dead end that was accompanied by a massive cliff with a rock bottom. As I drove my jeep right off that cliff, I hit rock bottom 4 years ago and ended up surviving the fall by admitting my self into a treatment center to face my demons. Now that I got a new jeep and learned how to drive again, I am on my journey down the road of serenity. Yes it has some potholes and some molehills, but it is a much safer ride with no dead end. The sun shines bright on most days and the air is easier to to breath. There are times when I get a flat tire or two, but in using my strategies to face addiction, I change them out very quickly and I am on my way again. Living a successful life down the road of Serenity is a true blessing and I am loving the sun when it is shining and the beautiful meadows of Faith, Love and Hope. Today I made the decision to travel down the road of Serenity. What are the Names of Your Roads? What Road are You Going to Choose Today and Where is it Taking You? I was just reading a post by a fellow blogger this morning about how she found a way to forgive the transgressions of the addict in her life. I struck a chord in me so I tried to comment in her post. I don’t think it went through but my feelings remain the same nonetheless. Then, here you are. In keeping with the same theme God is obviously trying to do a great work in me so I think I’ll just let Him. I must tell you though, I absolutely LOVE your style if writing. I love how you painted a picture with words and then drew me into your world. I was able, for a brief moment, to experience the act of falling into addiction from your point if view. Thank you for that glimpse. Thank you for sharing. Thank you for your transparency. Thank you so much for your thoughtful response! I loved reading it and I am so blessed that I struck a chord with you. That is what this is all about and I really appreciate your kind words. Thank you again for following my blog and have a wonderful day 🙂 God has a plan and we are his instruments to fulfill his plan. Have a Blessed day! I think I'm often in a complicated bramble, and the roads leading out are numerous. I guess the one I pick today is the road that leads me around the big snarl of panic – maybe it's called Distraction, although I'm not sure how healthy that sounds lol! You may also reblog or link to Addiction Place as your inspiration or just to share it anytime of any day :). I want to help and serve as many people as possible with my writings and that is why I write. I am so thankful for choosing serenity again today. 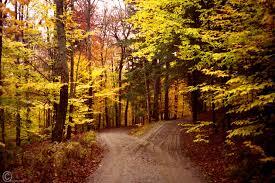 I hope today you choose the road of serenity and if Distractions come into play, you can always change direction. I have bipolar disorder as well as an addiction disorder. I get distracted easily and when mania hits, I have family that has to ground me to my core beliefs and strategies to adjust my sails. Please stay in touch and I will continue to look for you blog postings. Have a Blessed Day and Thank You for Your Support!